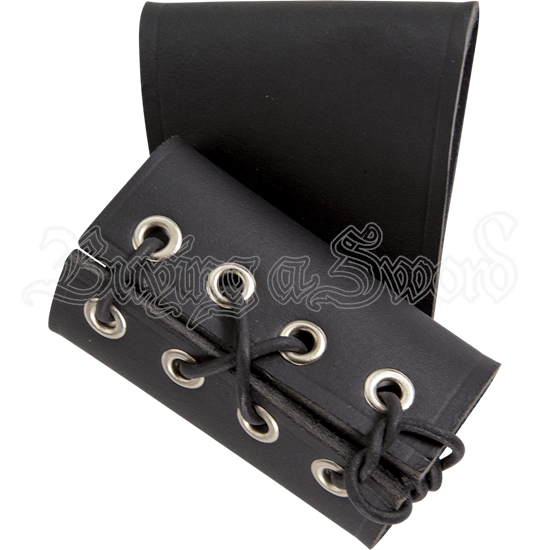 Sized for daggers but with an adjustable fit, the Small Black Leather Frog holds your weapon secure at your side without overwhelming your outfit. This handcrafted leather belt frog is intended to rest on the left side of the wearer. 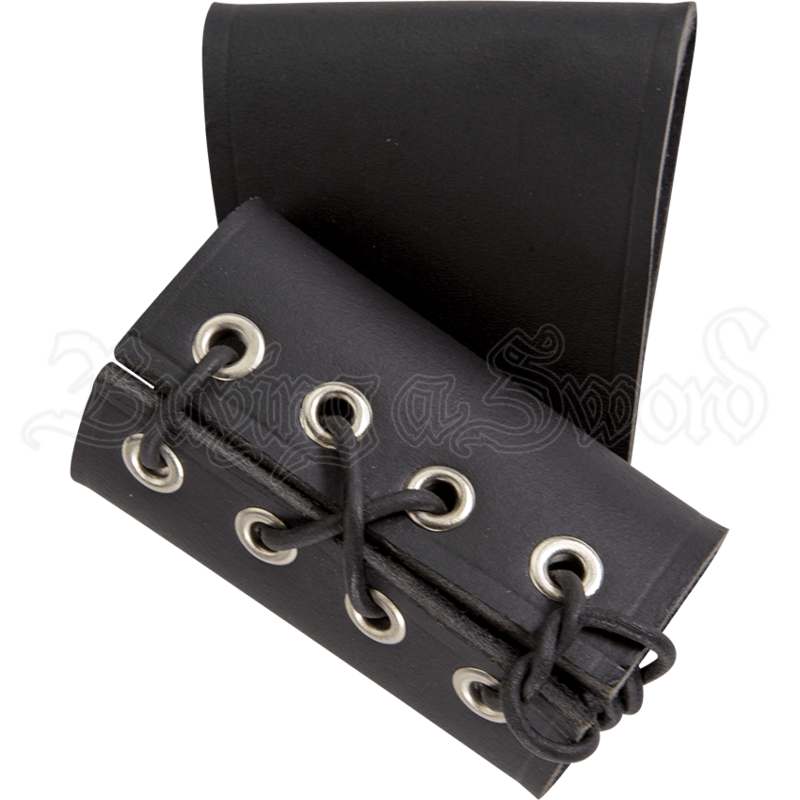 The black leather dagger holder has matching black lacing through steel colored grommets, and its closed belt loop slides easily onto most medieval belts. Have your weapon within easy reach when you wear it on this adjustable leather frog.